Entries are selected by following pre-determined criteria in which participants with written entries are chosen for next round. After this, they have to prepare 15 minutes presentation which they have to present in front of judging panel. Scores are given on the basis of performance and content which will help in determining the winners from different categories. Participants with highest scores covering all the factors such as discipline, performance, credibility, experience, quality and etc are will be finalized as the overall winners of the awards. Judging panel will give feedback to every participant about their both positive and negative factors that leads to improvement. 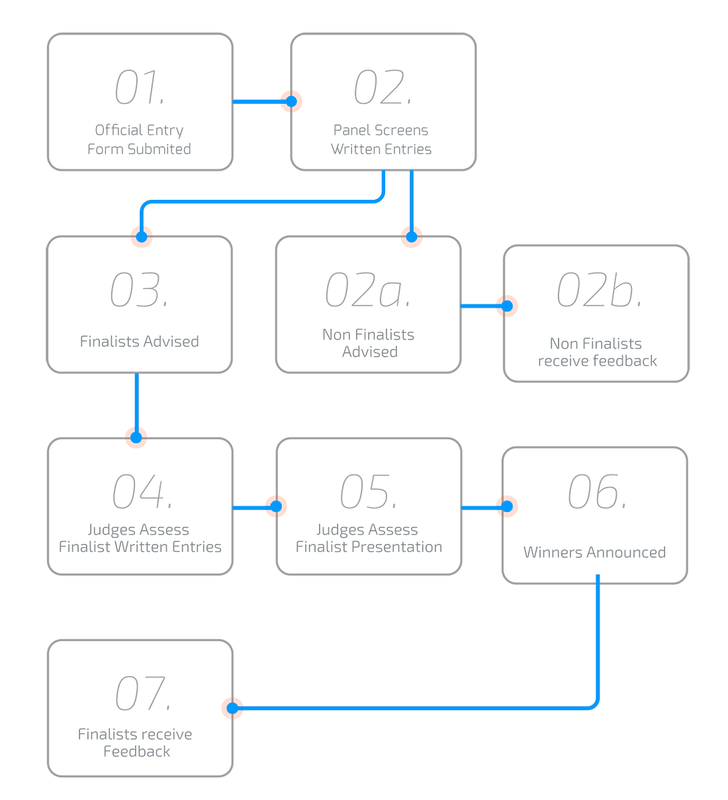 Finalist or Winners will receive awards after the approval of judge panel.